Grosgrain: XauXau $30 Gift Card GUEST GIVEAWAY!!!! CLOSED. XauXau $30 Gift Card GUEST GIVEAWAY!!!! CLOSED. Boy do I like this store! 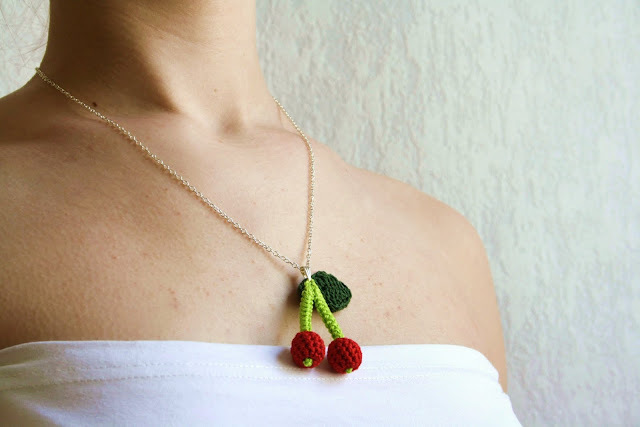 I could totally picture myself wearing her cherry crochet necklace with a white dress. The winner of this giveaway will receive a $30 gift card to XauXau. Alise makes crochet accessories and clothing. Her first crochet blanket - made together with her grandmother. Every line was started by her and continued by Alise. Says Alise, "Stitch by stitch I still continue..And I'm lovin' it!!" Also check out her crocheted bikini line at XauXau Summer. For up to date info on Alise's newest creations check out her blog. If you use blogger just use the "create a link" link at the bottom of this post. If you don't use blogger, that's fine too. Just create a link on your page as you normally would. That cherry necklace is a cutie. Thanks for sharing! I'm totally a huge fan of the cherry earrings! the necklaces are so cute! and I love the green bikini. I really should try to make one myself, now that I've learned how to crochet! I love the rainbow balls! So cute! Such nice pieces, I've never seen crochet look so classy and modern! I love everything! 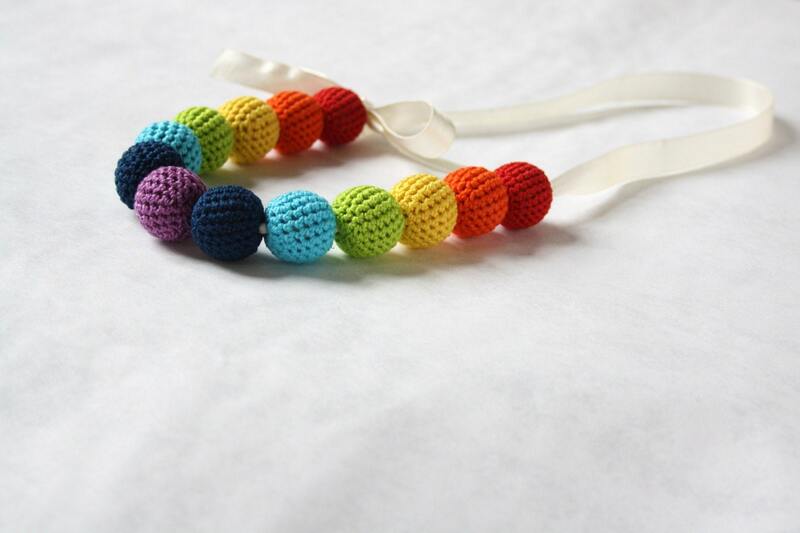 The rainbow crochet necklace is especially cute. My 3 year old daughter would love wearing that...she loves rainbows. The rainbow necklace and cherries are so cute! Love 'em! Totally adorable! I love the cherries... they are one of my favorite things about summer. Oh my, I just found your site. So great! I have just the place to wear that necklace too! How unique and creative, love it! I want the different colored one So cute. I love that cherry necklace and my link is up! They are very cute! I especially like the white necklace in her shop. I linked. 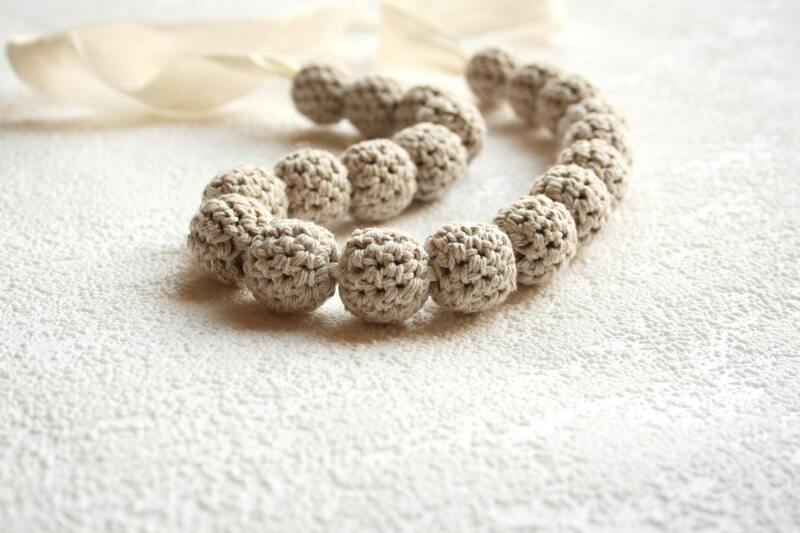 Crocheted necklaces.. how creative! They are super cute and would make great accessories especially for this summer! Oh my lordy, they are deviiiiiiiiine!!! I love the earth tones necklace. How unique and interesting! 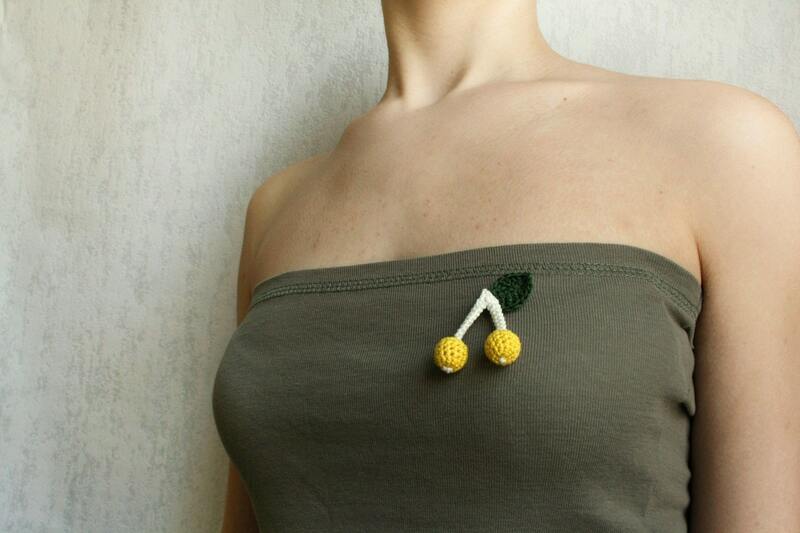 I love the cherry necklace..very creative. The necklace with the balls is fabulous. Thank you for sharing. That cherry necklace...I die. I want it it is so cute. I love the brown and green necklace-so clever and funky! I love the cherries! Too cute! oh my goodness, these are beautiful! I think my favorite is the blue one with the two balls at the end of the post! I love the earth necklace. Lovely! absolutely beautiful and so fun! Love the necklace! My daughter would love the rainbow colored one. So cute! I love crocheted goods! I am in total admiration!! Love the cherry necklace! It's really cute with a white dress! I have a completely unhealthy obsession with all things cherry jewelry related. I love the cherry necklace! I love unique jewelry. Really fun. I like the Reggae Necklace, cheerful and pretty! Thanks for the giveaway. How lovely! I am heading to the website now!! I created a link in my blog. Such cute jewelry. I love the earth and white necklace. My 9 year old daughter was taught by her grandmother to crochet and they make things together all the time so I love the idea of this!! too cute! how pretty! I love the cherries. I just love all the crochet jewelry! I'm such a HUGE fan!